Are you looking for the perfect gift for your special someone? Why not spoil them with a gift voucher to our exquisite treatments. Our beautiful Thai Day Spa surrounded by award winning gardens offer massage therapy, luxurious ELEMIS facials and exquisite pampering packages (from three hours to a full day). We can create a voucher for a specific amount, or if you'd prefer a voucher for a particular treatment. What a perfect way to treat that special someone in your life. Purchase your gift vouchers below and we will conveniently post the gift voucher to you, you can pick up or email you an electronic voucher (if you’re rushed for time). Our globally renowned hands-on facial treatments use touch as a powerful diagnostic tool, softening and prepping the skin to receive actives. Each active product is applied using a combination of ancient and modern massage techniques from around the world. The hands of a highly trained ELEMIS Elite therapist are profoundly effective anti-ageing tools. This is where intuition meets expertise. ELEMIS therapists make it personal. They look. They listen. They tune in to you, performing transformative treatments, personalised to respond to the ever-evolving rhythm of your life and the ever-changing nature of your skin. Located in Cashmere, Christchurch and surrounded by award winning gardens, Lotus at Siam Thai Day Spa offers exquisite pampering packages with exceptional service to match. Our qualified Thai therapists work hard to help you unwind and enjoy being pampered beyond your highest expectations. Our Spa is luxurious, extremely private and a destination in its own right, allowing you to truly escape the pressure of everyday life into a world of pampering and relaxation. From massage therapy to full day spa treatments including couples packages, we can cater for all your pampering needs. Treat yourself to the ultimate in massage with the Royal Thai Massage collection. Created with you and your body in mind. Using a mixture of Thai stretching, and soothing massage after a relaxing spa bath, our qualified Thai therapists work hard to help you unwind and enjoy being pampered beyond your highest expectations. Our award-winning Spa is luxurious, extremely private and a destination in its own right, allowing you to truly escape the pressure of everyday life into a world of pampering and relaxation. Choose from our five Royal Thai Massages using luxurious ELEMIS Body oils. Treat your skin to the ultimate in pampering with ELEMIS. These luxurious body treatments stimulate cell renewal, exfoliate, increases circulation, and transform the look of your skin! Our specialist Thai Steam and stretching massage incorporates traditional Thai massage with stretching techniques helping you restore the flexibility of body muscles and various joints as well as improving blood circulation and relieving muscle soreness and body stress. Let us help your body feel truly pampered in our luxurious spa. Our exquisite couples treatments have been created by our qualified Thai therapists to help you unwind and enjoy being pampered beyond your highest expectations. We offer pampering experiences couples to enjoy ranging from three hours to a full day. Take time out with the girls! We all know how hard it is to find time out with the girls, so why not get together and share some quality time and memories while being pampered by Lotus at Siam’s qualified Thai therapists. Bring your friends and make it an occasion to remember! Are you a regular visitor to the Spa and looking for a way to be rewarded while still enjoying your regular pampering? 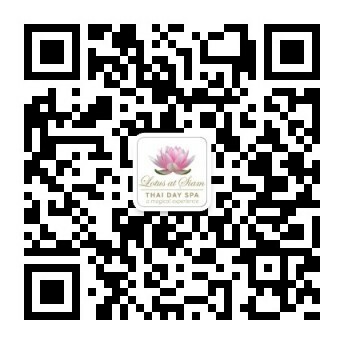 At Lotus at Siam Thai Day Spa we offer Spa Memberships. These offer discounts off your regular massage, facial or pamper treatments. Simply purchase your treatments in advance and receive 10% discount. And the best news, you have 12 months to redeem your membership. Please find opposite some of our current memberships. We can tailor make a membership dependent on your needs, contact us for details.